Artistry that leaves you breathless. Russian dancers from San Francisco, California under the artistic direction of Natalia Borisova is available for Arts in Education Programs, Concerts, Corporate Events, Convention Promotion, Media Appearances, private parties, special events, theme engagements, Weddings, etc. For professional Russian music and dance as the highlight of an event entertainment schedule, The Russian Collection Dance Ensemble provides a selection of thrilling and colorful Russian folk dancing, enchanting Russian folk music, and Russian magical illusions. 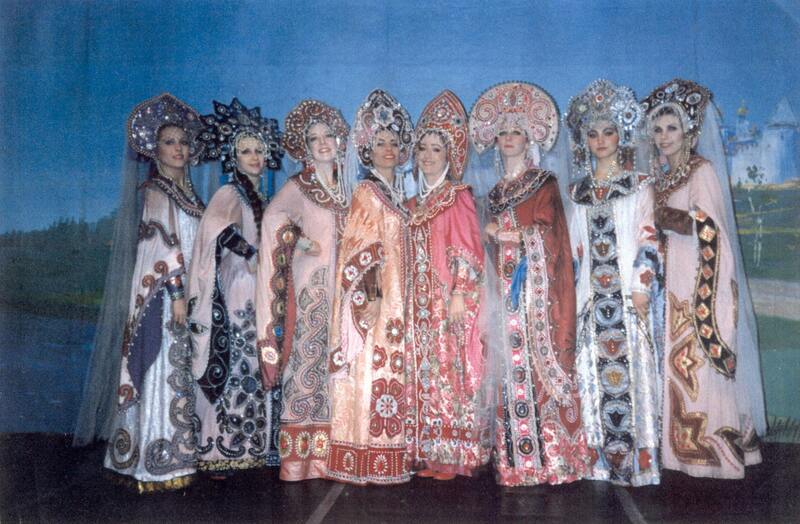 The Russian Collection Dance Ensemble has been performing arts-in-education presentations throughout the United States for over eight years through private sponsorship, the California Arts Council’s Touring Artist roster and with the Young Audiences of America. The Russian Collection has been in existence since 1945 and has performed in Europe, Asia, North and South America. Thousands of elementary, junior high and high school students have been entertained and inspired by the exciting virtuosity of The Russian Collection and their diverse and dynamic programming. Boasting former directors and soloists from prestigious national ensembles such as Moiseyev, Georgian State Dance Ensemble, State Academic Ensemble of Belarus, Romen Gypsy Theater of Moscow, Dan Cossacks and others, the company presents an authentic contemporary expression of traditional styling, mingled with folklore, fairytale and historical embroidering. The program is designed with geography, history and language arts to become a genuine treat for those interested in understanding Russia’s rich cultural heritage through superb music, dance and theatrical presentation. 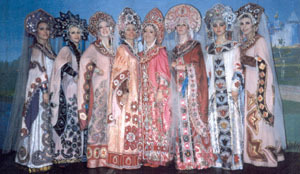 The Russian Collection is an ensemble of renowned dancers, musicians and singers hailing from such illustrious companies as Moiseyev, Beryozka, Don Cossacks, Romen Gypsy Theater of Moscow and the Georgian State Dance Company. The Russian Collection presents authentic Russian music and dance with original and traditional choreography and compositions. Women in the lyrical round dance wear museum-quality jeweled sarafan costumes while men sport pyrotechnic leaps and turns in the Georgian and Ukrainian competition dances. Appealing to audiences of all ages, the Russian Collection blends folklore, fairytales and exceptional artistry to translate authentic Russian culture to the American stage. Natalia Borisova is the director of Ballet Russe of San Francisco, and the Russian Collection and is internationally recognized as a teacher, choreographer and director of Russian character dance and classical ballet. Of Russian heritage, Ms. Borisova trained with the original members of the legendary Ballet Russe de Monte Carlo and with the Don Cossack troupe. 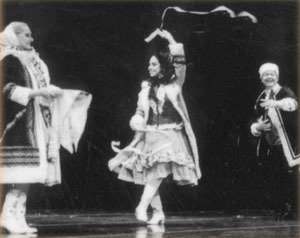 Ms. Borisova immigrated as a refugee to the US where she taught character dance according to the syllabus of the Russian Choreographic Academy with the San Francisco Ballet School and University of San Francisco, and conducted the first USSR Seminar in Dance for Kirov, Bolshoi and Moiseyev dance companies. She was choreographer and co-producer for The Party, a Samuel Goldwyn Studios film, consultant to production of Massine on Massine with California State University, assistant to Maestro Massine for revival of Snow Maiden for Oakland Ballet and producer of The Russian Collection concerts since 1989. In addition to performing in national tours with Young Audiences of America and national leading arts presenters, Ms. Borisova is a Russian language interpreter (her brother served as President Clinton's Russian translator) and a traditional costume designer, owning the largest collection of authentic Russian folk costumes in North America. "This group not only gave the best performance of the night (we still have people commenting about the "amazing Russian dancers,") but they were able to work with what our idea of what type of show we wanted and helped us organize it in a way that worked for everyone involved. The costumes were amazing, the dancing was, literally, jaw-dropping, and the only thing I could say was "this is awesome" throughout the show. "If someone asked me to describe the fantastic performances your group delivered for my birthday party on September 20, 2008, it would include words like: fantastic, dynamic, unbelievable, incredible. My friends won't stop talking about the amazing Russian entertainment. ..Thank you for making this evening a night to remember." Workshops are conducted by two professional members of The Russian Collection and usually last 2-3 hours. 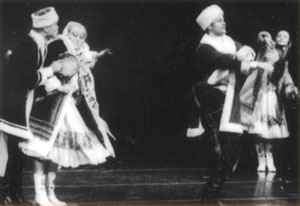 A specific theme is chosen or an overview on Russian music and dance. 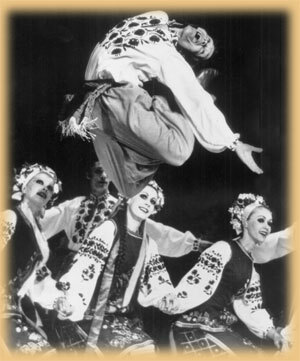 Cossack Dancers troupe is available in New York, New Jersey, PA, CT, VT, and Nationwide. Rostov Don Cossacks - Rostov Don Cossack State Academic song and dance ensemble from Rostov-Na-Donu, Russia. Program of traditional Cossack dancing, music and songs. 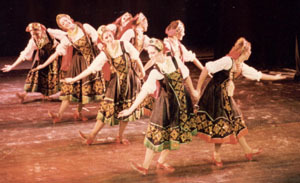 Ensemble "Barynya" from New York - traditional Russian dance and music show. 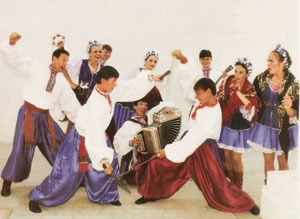 Barynya is a unique group of top soloists: musicians, singers and dancers who were trained and performed with world-known companies such as Don Cossacks of Rostov, Andreev State symphonic balalaika orchestra, Moscow State center of "Russian Song". Artistic Director Mikhail Smirnov. VIA ROMEN - traditional Romany Gypsy Roma Romani music and dance ensemble. Artistic Director Vadim Kolpakov. "Canary" from Los Angeles, California - Russian, Moldovan, Ukrainian, Gypsy and Jewish traditional dance company. Artistic Director Youri Nelzine. 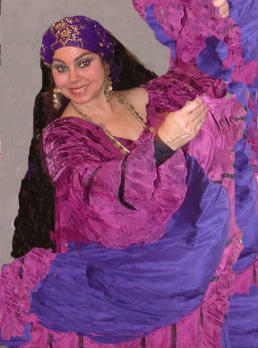 New York Russian dance trio - Cossacks, Ukrainian and Russian Gypsy dances, music and songs. Different set of costumes for each dance. "Revival" dancers from Toronto, Canada. The group is available in Canada and the United States of America to provide traditional Russian dance show for performing art centers, corporate events, parties, weddings. Artistic Director Ekaterina Kornienkova. DANCHENKO DUO from Brooklyn, New York - famous Gypsy violin duo Nina and Isaac Danchenko. "Russian Dance Quartet" from Brooklyn, New York presents traditional dance and music program. Show was designed for smaller budget venues with limites space for dancing. 3 dancers, 1 musician perform Russian, Cossack, Ukrainian, Siberian folk dances, songs and music. Choreographer Valentina Kvasova. "The Russian Collection" from San Francisco, California - thrilling and colorful Russian folk dancing, enchanting Russian folk music, and Russian magical illusions. 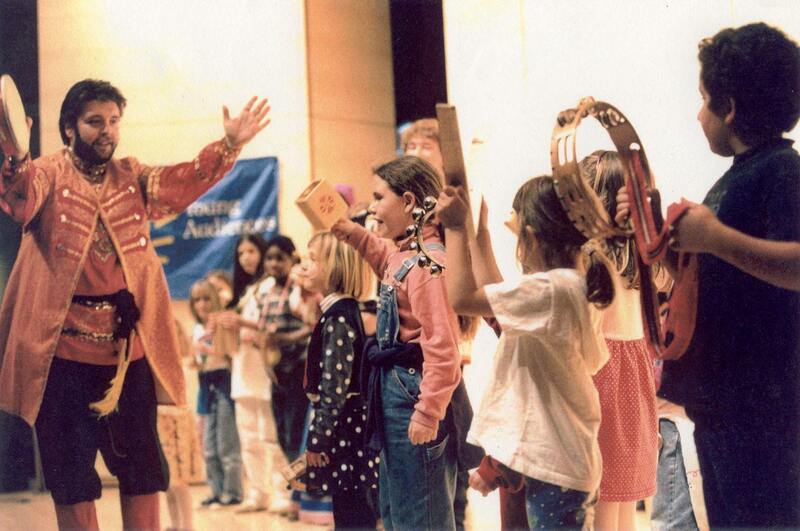 Group was founded in 1945 and has performed in Europe, Asia, North and South America. Artistic Director Natalia Borisova. 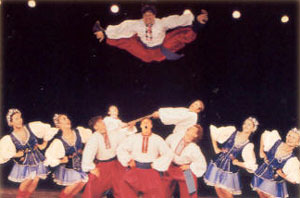 Ukrainian Cossack dancers of New York founded in New York City by Ukrainian choreographer, teacher and dancer Andrij Cybyk in 2007. "Kalinka" dancers from Baltimore, Maryland perform in beautifully detailed costumes and accompanied by a full orchestra, Russian Folk Instruments quartet/trio or pre-recorded music. Artistic Director Ekaterina (Katya) Denisova. 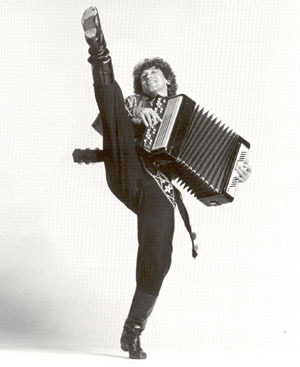 "Cossack Spirit" from New York founded by dancer and singer Valentina Kvasova, singer Victoria Pichurova and Russian button accordion virtuoso Victor Danilochkin in 2007. Ensemble performs Cossack folk music, songs and dances. All members of the group are highly trained in former USSR performers. Tryn-Trava - Russian Folk group from Saint Petersburg, Russia. 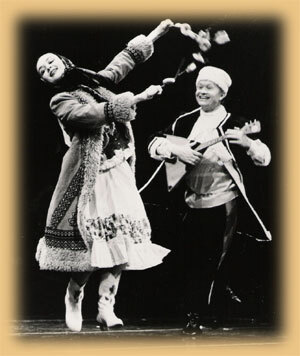 Tsygane - Russian Gypsy Roma dance, music, and song ensemble from New York City. "Pearls of Odessa" - children Chorus from Odessa, Ukraine. 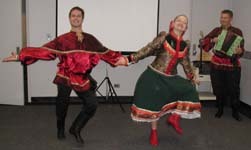 Russian folk dance and music duo from New York performs in traditional costumes. 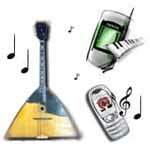 Program of Russian, Cossack, Ukrainian and Tsygansky folk songs, music and dances. Affordable prices. Duo is available for Arts in education programs. SVETOCH - Russian song ensemble from Eastern Siberia. 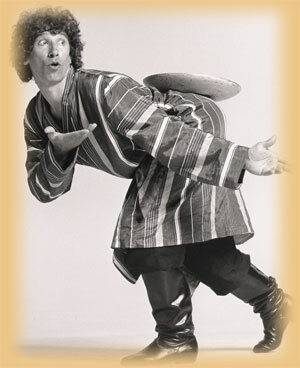 "Balalaika Dance Trio" from Philadelphia, Pennsylvania - Russian Cossack dance, balalaika and garmoshka music show directed by balalaika virtuoso Alex Siniavski. Zabava from Saratov, Russia - Russian folk music and dance ethnographic group. 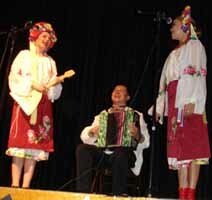 Brooklyn Cossacks - folk song and dance trio from Brooklyn, New York. Russian Brides - Cossack song and dance duo from Brooklyn, New York. "Art of Dance Academy" from Cleveland, Ohio - Artistic Director Arkady Tsirlin. Ukrainian, Russian, Polish folk dancers. 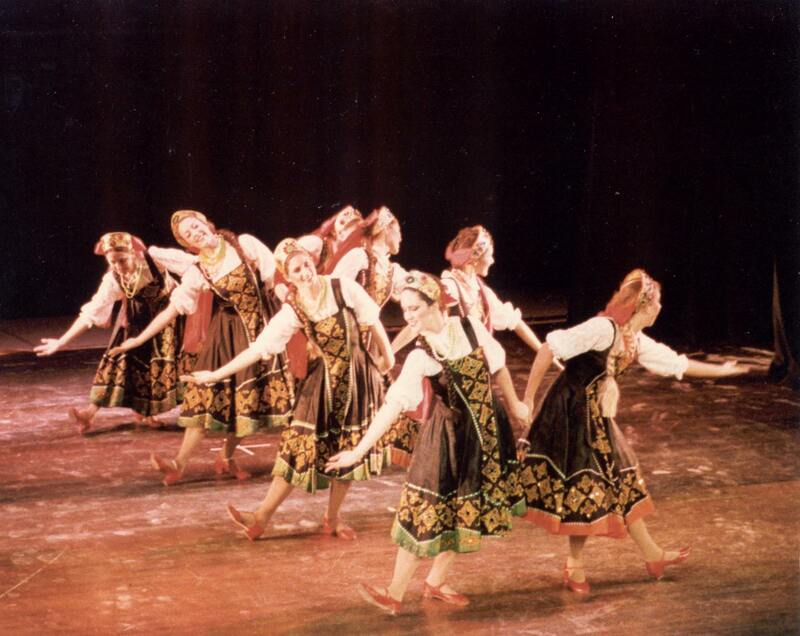 Matryoshki - Russian folk dancers from Eugene, Oregon. Stanislav Issaev (Russian: Станислав Исаев) - ballet dancer, teacher, choreographer. Russian ballet dancers for hire in New York, New Jersey, Pennsylvania, Connecticut and other states. Yuri Vodolaga - ballet dance instructor from New York City. Vladimir Riazantsev - choreographer, dance instructor from San Francisco, CA. Vladimir Abramenko - choreographer and dance instructor from Jacksonville, Florida. Vitaly Verterich - dancer and choreographer from New York. Valentina Kvasova - choreographer and dancer from New York. Youri Nelzine - choreographer from Los Angeles, California. Andrei Ivanov - choreographer, dance director from New York. Andrei Kisselev - dancer and choreographer from Queens, New York. 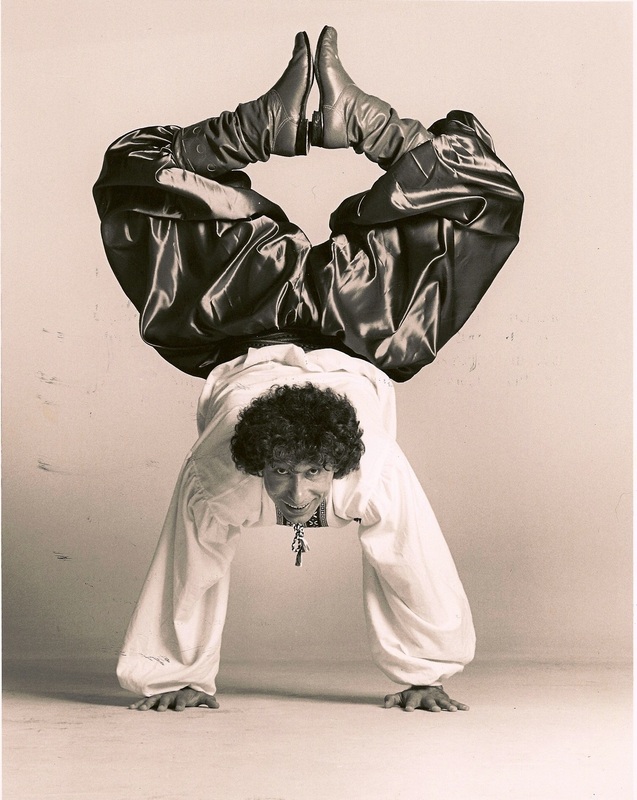 Andrij Cybyk - dancer, teacher, choreographer from Queens, New York. Stefan Kuziw - dancer and choreographer from Toronto, Canada. Roman Lewkowicz - choreographer and dancer from Queens, NY. Alexander Rudoy - dancer, dance instructor, choreographer from Brooklyn, NY. Alex Sizov - choreographer from Brooklyn, NY. 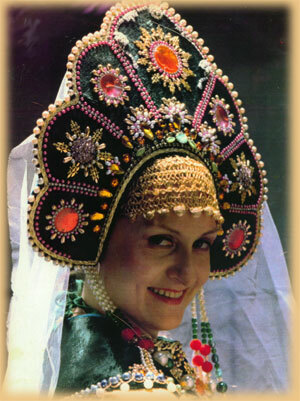 Grisha - Russian Gypsy Roma dancer from New York. Aleksey Klyuchnikov - Russian dancer from Staten Island, New York. Aliaksandr Anatska - dancer from Brooklyn, New York. Anna Brovkina - dancer from Voronezh, Russia. Olga Chpitalnaia - dancer from Brooklyn, New York. Natalia Ejova - dancer from Queens, New York. Ilia Streltsov - dancer from New York, NY. Lev Iwashko - dancer from Baltimore, MD. Ganna Makarova - dancer from Brooklyn, New York. Alexey Maltsev - dancer from Staten Island, New York. Natia Rtveliashvili - dancer from New York. Mikhail Nesterenko -dancer from Brooklyn, New York. Ilia Pankratov - dancer from New York City. Petr Tikhonov -dancer from Brooklyn, New York. Danila Sherstobitov - dancer from Brooklyn, New York. Vasiliy Myshletsov - dancer from Brooklyn, New York. Olga Verterich - dancer from Brooklyn, NY. New York City best video and photo package deal - $950! $550 wedding videography, $550 photo, $950 photo & video package. Weddings, private and corporate events in New York City, NJ, CT, PA.